You are unique. These treatments and products are a selection of what we have available to you. All of our patients have a full consultation and together we create a personalised treatment plan tailored to your specific requirements. In your 20’s your skin should be at its absolute best. Cell turnover is optimal, giving the skin that beautiful natural glow. You have an abundance of collagen and elastin making your skin firm and taut with an enviable silky smooth texture. It is the optimum time to start thinking about anti-ageing. Remember, the sooner you start, the better off you will be as you progress through the decades. This only needs to be a little tweaking and enhancing to help retain your optimum skin. Acne can be a problem for many during their 20’s. Products such as the Obagi Clenziderm System used under the guidance of a qualified practitioner can help get acne or break outs back under control. These products are ‘at-home’ systems and work nicely alongside the in-clinic treatment Intense Pulse Light (IPL). The main focus of skincare in your 20’s should be preventative. If we were to recommend only one product for you to invest in, it would be a good Sun Protection Factor (SPF). Absolute Aesthetics recommend Heliocare which is suitable for all skin tones and blocks both UVA and UVB rays from the sun. The ageing rays of the sun are present all year round so your SPF should be worn every day and not just in the sunny summer months. A good Vitamin A product such as Retriderm will protect the skin from free-radicals and help to repair any early damage to your skin cells. For a special occasion where your skin really needs to shine, a HydraFacial will definitely enhance your skin’s natural glow. If you suffer with excessive underarm sweating, then you might consider the miraDry procedure. The procedure uses microwave energy to permanently destroy the sweat glands responsible for excessive sweating. If deodarants and prescription antiperspirants do not work, then this is the treatment for you. It is in your 30’s that you will visibly start to notice the subtle signs of ageing. Constant exposure to pollution and the sun will have taken its toll on the health of your skin and everyday pressures such as children and work start to make the skin look tired and stressed. Collagen production starts to decrease and less sebum makes it harder for your skin to retain water and moisture resulting in less resilient skin and fine lines and wrinkles. Early signs of skin damage also start to appear with freckles and pigmentation making the skin flawed and uneven. If you are suffering with adult acne, then consider using Clenziderm or Biretix to help treat the acne and get it under control. The appearance of acne scarring can be greatly improved with products such as Obagi NuDerm. The main aim of skincare in your 30’s is to repair any damage and maintain the results. A good Sun Protection Factor such as Heliocare is a must as is a Vitamin C serum such as Obagi. To initiate rapid cellular turnover to repair the effects of ageing, consider adding a Vitamin A product such as Retriderm to your daily skincare routine. To counteract the appearance of uneven skin, a good exfoliating procedure such as HydraFacial will give the skin an instant natural glow. You may be noticing the first signs of wrinkles around the eyes and on the forehead so muscle relaxing injections will weaken the muscles and prevent wrinkles from progressing further. If you have not religiously applied your Sun Protection Factor, you may benefit from a session of Intense Pulse Light (IPL) to zap any early signs of sun damage on the cheeks, nose or forehead. A much slower turnover of skin cells in the 40’s means that skin loses its lustre and radiance. The natural production of collagen and elastin decreases resulting in a loss of volume, structure and shape to the face. Eyelids can start to feel and appear heavier and the jawline starts to lose definition. 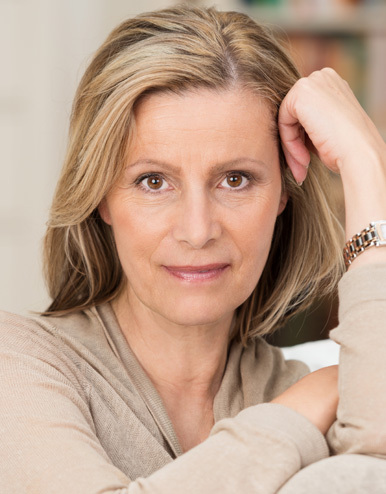 Many women will be approaching the menopause and associated hormone changes can have some unwelcome changes to skin texture and tone. Underlying skin damage caused by the sun will increase in appearance making the tone of the skin look patchy and irregular. It is not uncommon for women in their 40’s to suffer with menopausal acne. This is a relatively temporary condition that tends to go away once hormone levels have settled. Home use products such as Biretix and Clenzierm can be considered to help alleviate symptoms during this time. Now is the time to really focus on clinical skin products that have the ability to change and improve the condition of your skin. The Obagi range of products uses ingredients which have been proved to significantly rejuvenate aged skin. As with every other decade, protection from the sun continues to be paramount and a Sun Protection Factor (SPF) of 50 such as Heliocare must be applied every day. Dermamelan with Obagi caused by sun damage, then the Dermamelan skin peel will target and improve the appearance of pigmentation in the skin. Including a regular HydraFacial into your skincare routine will encourage the exfoliation of skin cells, leaving your skin looking even and bright. Muscle relaxing injections and Dermal Fillers can be used to soften deep lines and increase volume to the face. For those who are nervous or unsure about procedures with needles, then the radiofrequency procedure Thermage will stimulate and encourage the growth of new collagen and help to tighten and lift the skin. It is very common in your 40’s for skin lesions such as Seborrhoeic Keratosis (senile warts) and cherry spots to appear on the face and body. These are harmless but will continue to grow in size if left alone. These and other skin lesions can be easily removed with Electro Surgery. During your 50’s skin will experience a further decrease in the production of collagen. Lines become deeper and there is less elasticity to the skin making it softer and more lax. This laxity, coupled with a loss of volume will cause jowls to form and an overall appearance of downwards heaviness to the face. 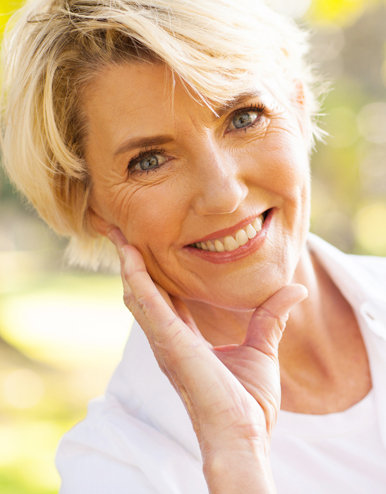 Females who are post-menopausal may start to find that their skin lacks moisture and has become very dry. Over the counter skincare cleansers and moisturisers are generally for the mass market. If you aren’t already, you should be using clinical home treatment products that can improve the appearance and condition of your skin, alongside a good sun protection factor such as Heliocare. Ageing skin is continually being challenged by factors such as sun, the seasons and hormones and these products can be reviewed and adjusted to work alongside these changes. In your 50’s, a regular HydraFacial treatment will keep cells turning over at an even rate and give the skin a bright, natural glow. For those of you with sun damage, this can be addressed by a Dermamelan skin peel or course of Intense Pulse Light. Dermal Fillers and skin boosters are an excellent treatment to increase moisture and lost volume to the face and lips. When used alongside other treatments such as Thermage and muscle relaxing injections, a natural looking improvement can be achieved to the shape and volume of the face and quality of the skin. Harmless growths such as senile warts and skin tags that start to appear can easily be removed with a session of Electro Surgery. Both men and women can experience or continue to experience hair loss during their 50’s. Hair loss caused by a genetic predisposition or hormonal imbalance can be improved with 1 – 2 treatments of Platelet Rich Plasma which stimulates dormant hair follicles to start growing again. This can be used in conjunction with recommended supplements such as Viviscall. During your 60’s and beyond, collagen levels in the skin will deplete rapidly and the body will eventually stop producing it. This means your skin will become more lax, thinner and much drier than it has previously been. On a positive note for women, symptoms of the menopause are left behind meaning hormones are less likely to influence the quality of the skin. Skin will become much thinner during your 60’s and beyond so using a Retionol A product each evening will help to boost collagen production and thicken the skin. Use this alongside Vitamin C for radiance and a creamy thick moisturiser such as Obagi Hydrate to keep your skin smooth and moisturised. A gentle exfoliator such as the Agera RX Microderma System will keep cell turnover at an even level meaning the skin looks less dull and more radiant. As we age, volume is lost in the face and can make it look heavy and downward drooping. When expertly injected, dermal fillers are a safe and effective way to replace some of that lost volume and reshape areas of the face giving a very natural and pleasing result. The 60’s and beyond is all about great looking skin. 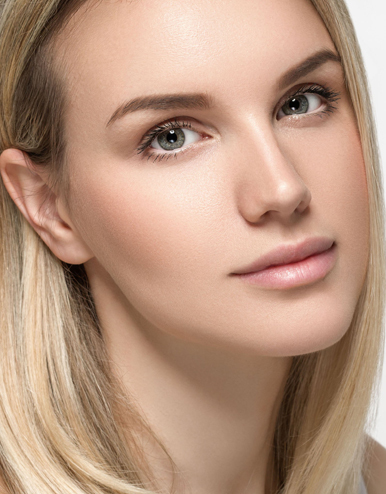 Regular Hydrafacial procedures will make sure the skin has a wonderful, natural glow to it. If you suffer with hyperpigmentation or have a lot of sun damage, then the Obagji Peel will help to address this. Hands can be a very ageing feature as age spots increase and the loss of volume makes tendons and veins more prominent. IPL is an excellent treatment for the safe removal of age spots and hyaluronic acid skin boosters will plump and hydrate the hands making them look less bony. Everybody in their 60’s onwards will have grown an unwanted lesion or two. Skin lumps such as a seborrohoeic keratosis (senile warts), skin tags or cysts can very easily be removed using Electro Surgery which is a relatively inexpensive procedure and leaves minimal scarring.